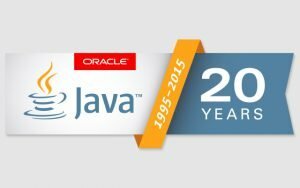 It’s hard to believe that Java is 20 years old! It all began in 1995 when James Gosling (who happens to be a star adviser at Jelastic) was working at Sun Microsystems (which has since been acquired by Oracle Corporation) and Java was released as a core component of Sun Microsystems’ Java platform. We are big fans of Java, in fact, Jelastic was built on Java back in 2011. We had a choice to make. Which programming language will we use to launch our platform? Java was not too popular with our target partners (cloud hosting providers) and we were tempted to start with PHP, however that was too easy! The team realized that it was difficult to service a large number of customers with Java applications. The Java language is more advanced, respectively, a cloud hosting platform should also be cutting edge. Furthermore, a support team should be able to solve customer problems with Java applications that require more knowledge through more combinations/options compared to PHP. In fact, at that time it was not a usual solution for hosting Java applications. Therefore, we still decided to start with Java. 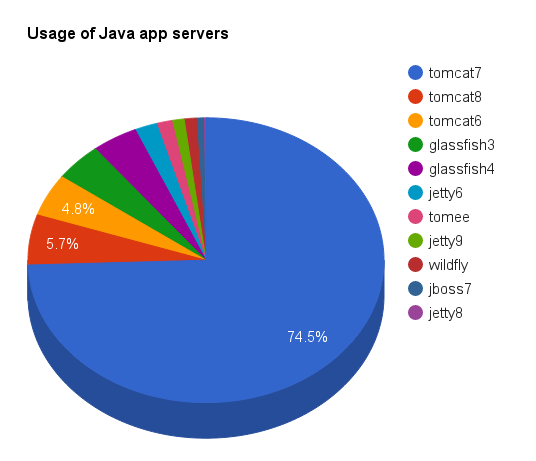 We knew that if we could provide a good cloud solution for hosting Java applications, then it would be much easier to integrate other programming languages. We believe Jelastic contributed to the survival of Java at a time when there was an unhealthy excitement around the fact that the “dinosaur” Java was dying. We created a fantastic panel for Java developers and system administrators who can service the cluster with a large number of different Java applications. To understand how cool this really is, just look at the reviews from James Gosling after he first tried Jelastic for his project. 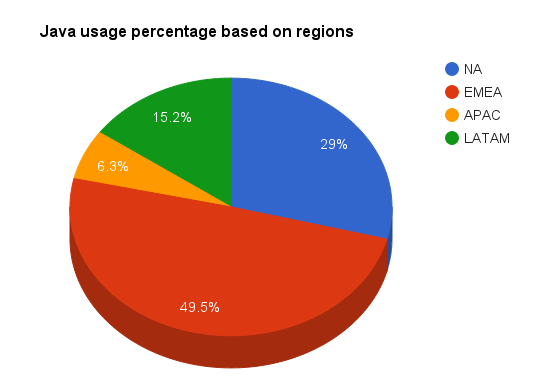 So how does Java stack up against other languages? 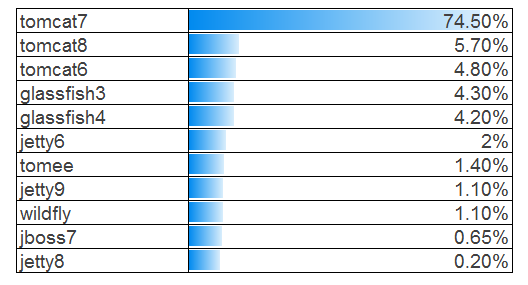 Our team ran the numbers based on our active users and here are the stats. There’s an additional technology that our team really loves – Java Scripting JSR223. We believe that this technology fits very well into the Java philosophy – cross-platform engine: write once, run everywhere. We use this technology heavily in Jelastic and we are working on the next iteration of this technology – Cloud Scripting, which allows developers to drastically simplify automation of application life-cycle processes in a cloud platform. To make it more fun, the team at JetBrains came up with a series of humorous cartoons illustrating the Java timeline up to this day. 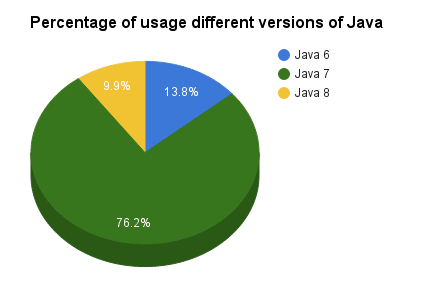 In honor of 20 years of Java, we ask you this. 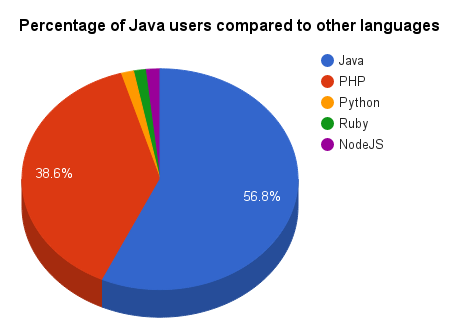 If Java is your preferred coding language, why? Post your comments below and if you haven’t taken Java on Jelastic for a test drive, sign up for your free 2-week trial now.